Angophora hispida (Dwart Apple) - A Hylaeus sp. 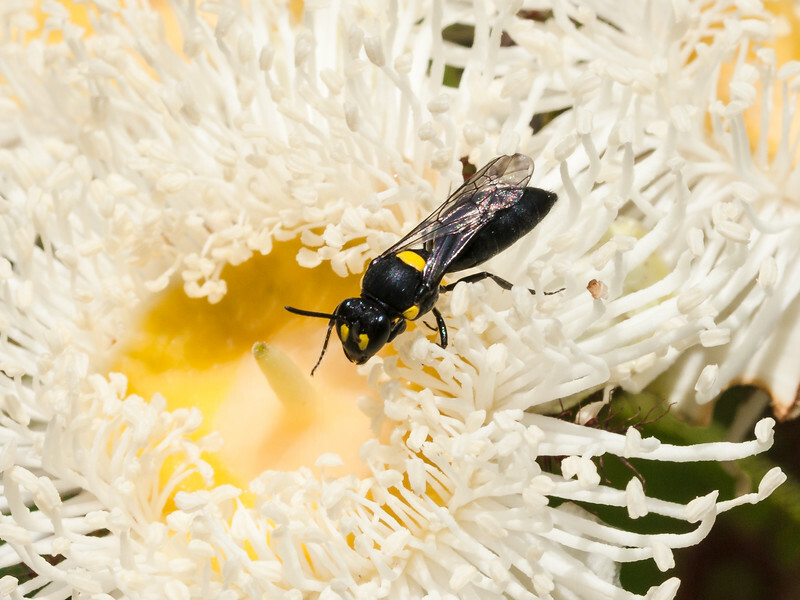 (Australian Masked Bee) seeking pollen in the huge blooms of an Angophora hispida. Notice the absence of scopa. They differ from other bees in that they keep their pollen in a crop.